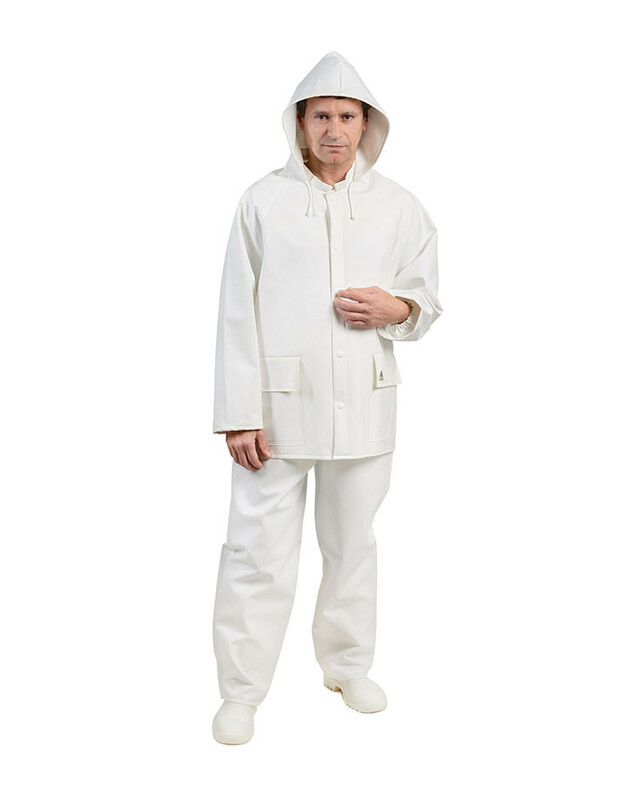 This garment complies with the requirement of REGULATION (EU) 2016/425, EN-ISO 13688:2013 and EN 343:2003+A1:2007/AC:2009, and with REGULATION (EU) No. 10/2011 for this PPE. This PPE corresponds to a waist-length jacket that fastens on the front with 5 snaps. It has a hood with an adjustable nylon drawstring. The sleeves have windbreaker elastic cuffs. On the front there are 2 patch pockets with protective flap.